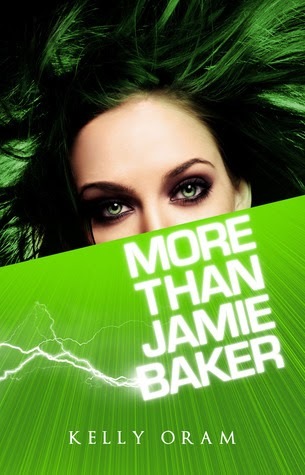 In More Than Jamie Baker, Jamie knows how to control her power in any given situation. She's more cautious now than she was in the first book because she didn't want a repeat of the last time she let her guard down and almost exposed herself to the public. However after an accident she consciously didn't do anything to stop, she decided that she had to do something about it. She wanted to quit being guilty and make up for what she failed to do. Naturally, Ryan had a few ideas up his sleeve to help her out once again. I didn't think it was possible for Jamie and Ryan to get any cuter but here they definitely did! Since Jamie knew how to keep her powers at bay whenever her all too adorable boyfriend got too close, they could afford to get plenty touchy-feely in public. They even came up with a name to describe Jamie's charged up kisses, 'superkisses.' With Ryan's help, Jamie was able to device a plan for her to break out of her shell and become the superhero she's bound to be. All that power should be put to good use after all. I like how simple it was for the pair to come up with Jamie's costume and how she'd track down the bad guys. It was all fun and light. It kind of reminds me of the movie Sky High. It was action packed and intense but it wasn't heavy. I like the new Jamie Baker - definitely an improvement from the previous book. What makes Jamie even better now, aside from her superhero secret identity that is, is that she's finally more confident and sociable. She's gotten closer to Ryan's bestfriend Becky after their misunderstanding in highschool. It was great seeing this new side to Jamie - a happier one that's not afraid to make friends. The downside however is that she's become more open to other people - people who will stop at nothing to get what they want. Enter mysterious new guy... who, let's just say, is shady but in some ways adorable.